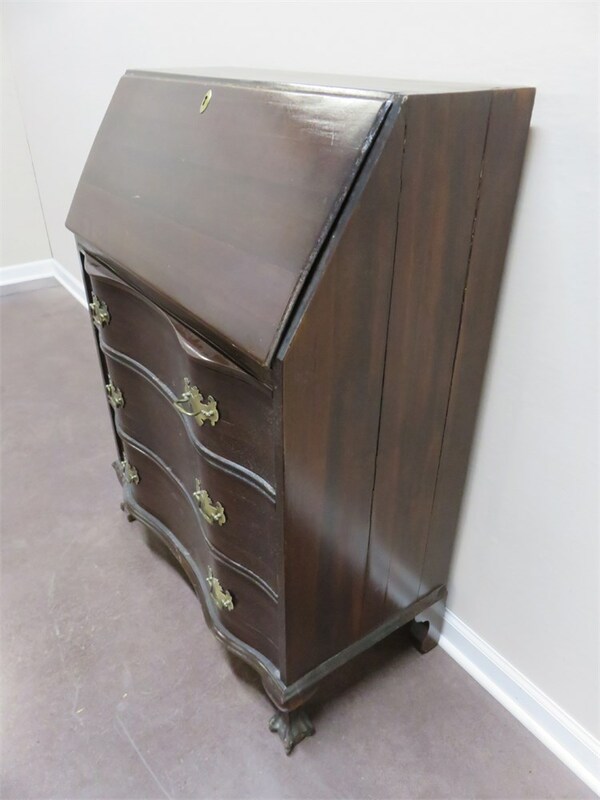 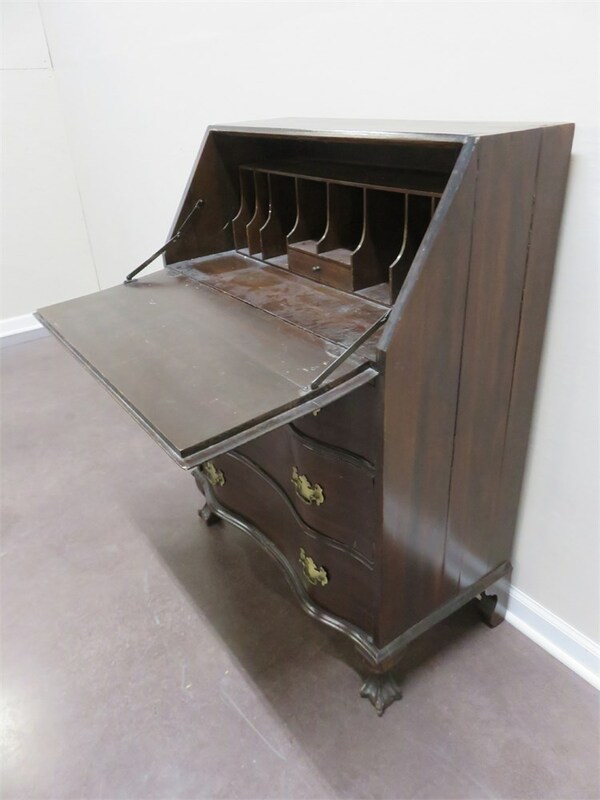 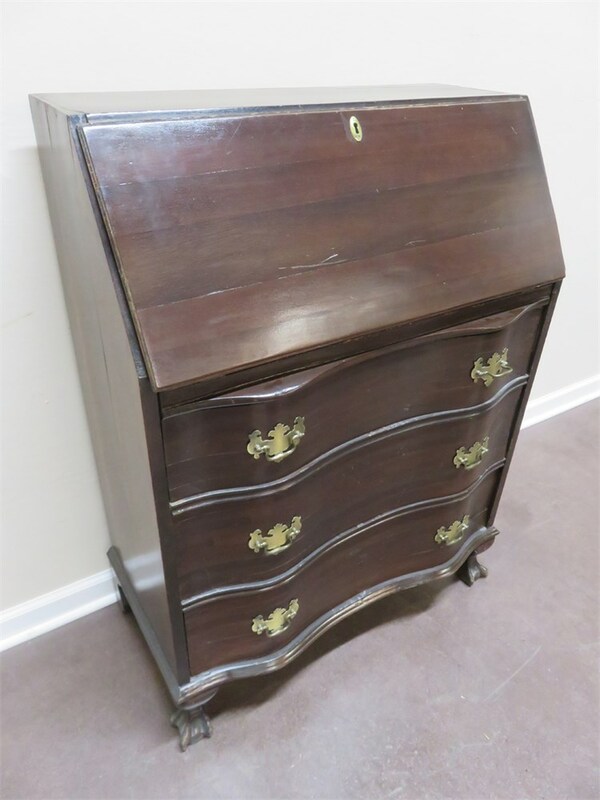 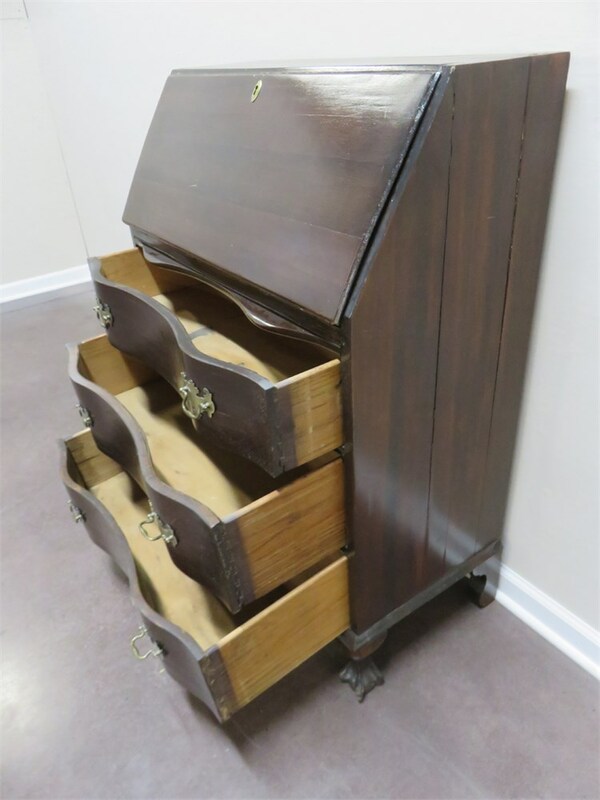 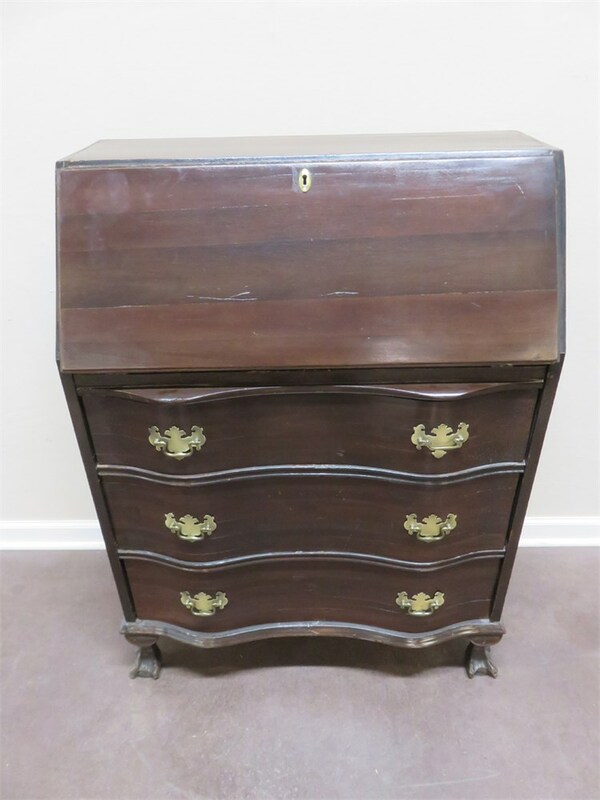 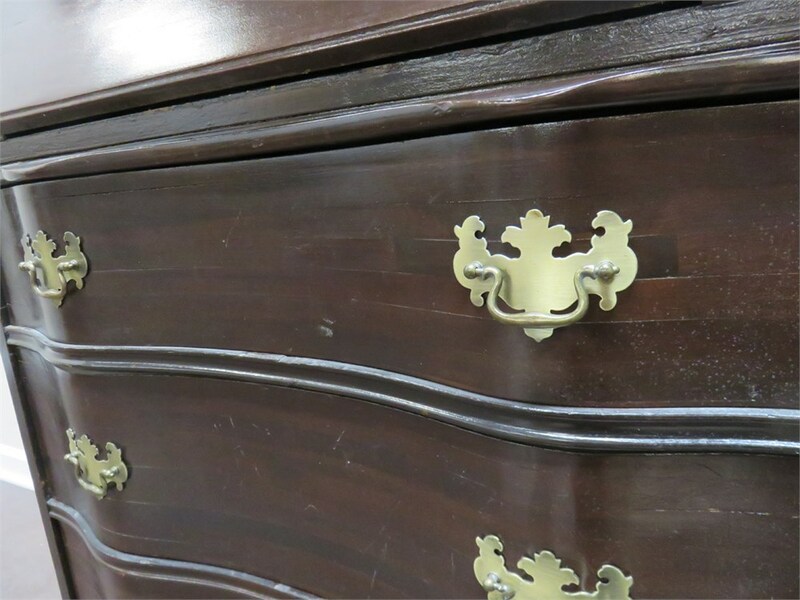 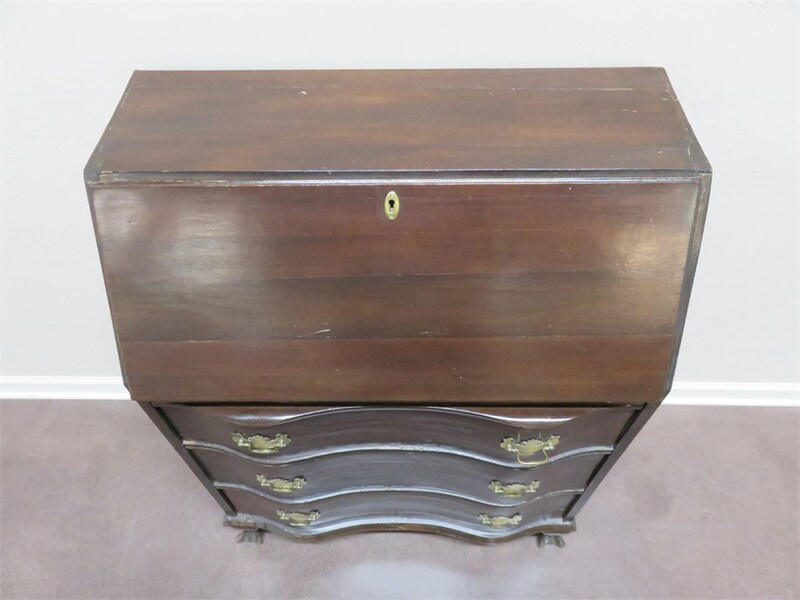 A vintage mahogany secretary desk with 3 dovetail drawers that have serpentine fronts and traditional brass hardware. 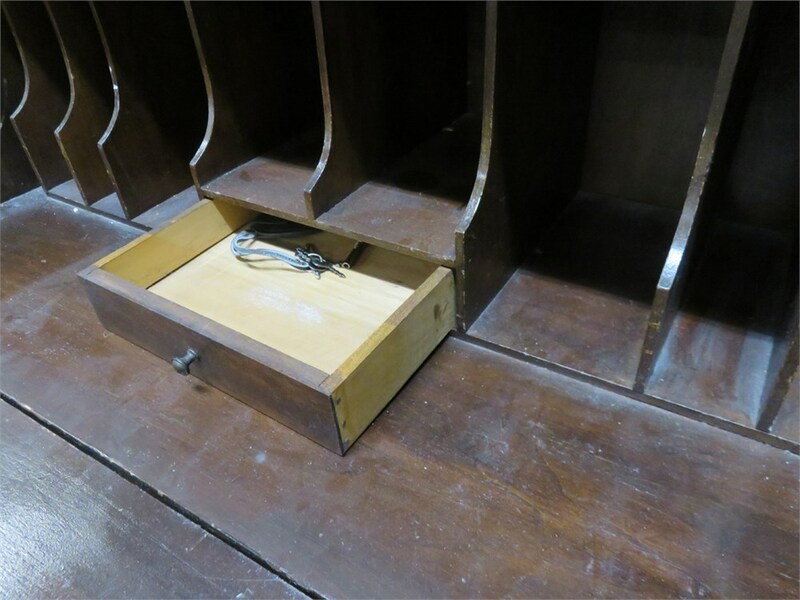 Inside the desktop are slotted storage compartments and a single drawer. 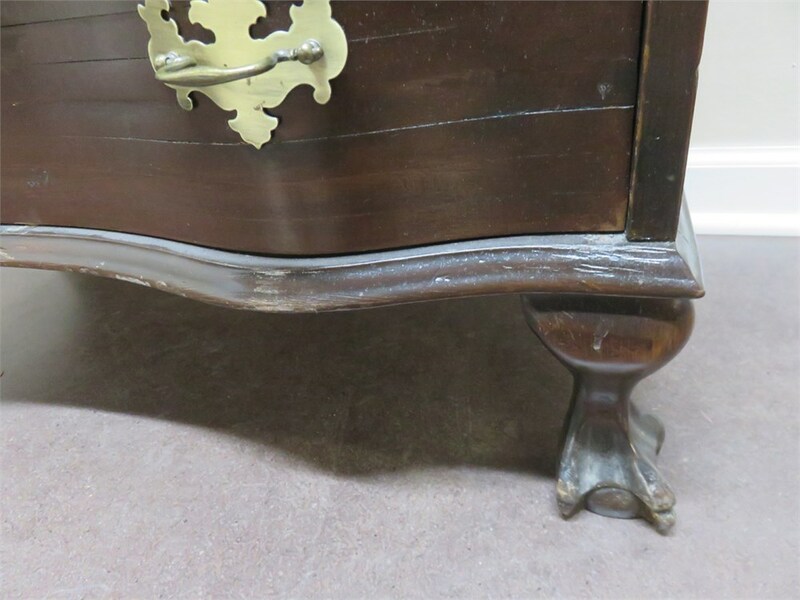 Feet have ball and claw design carvings. 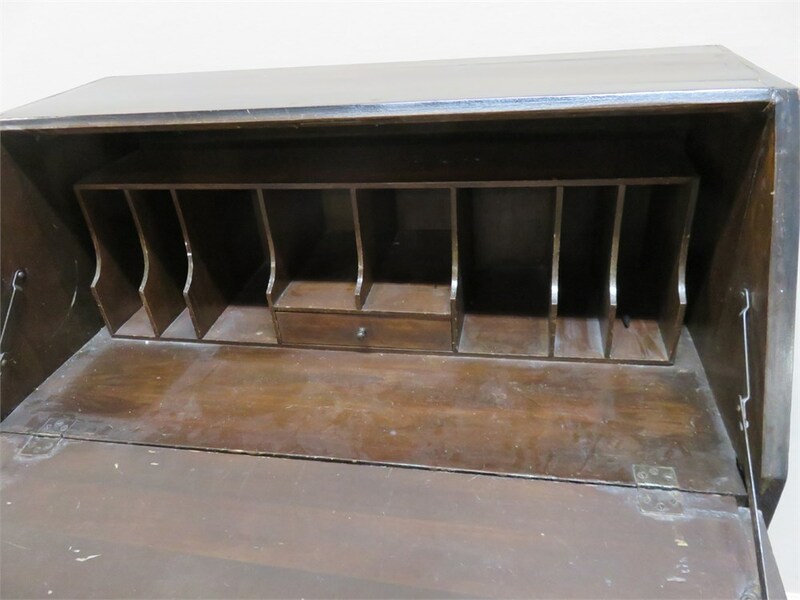 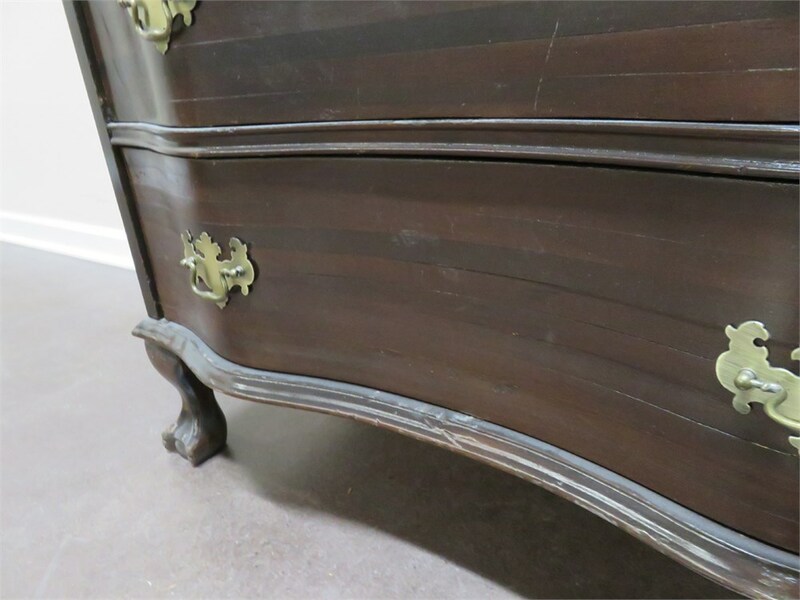 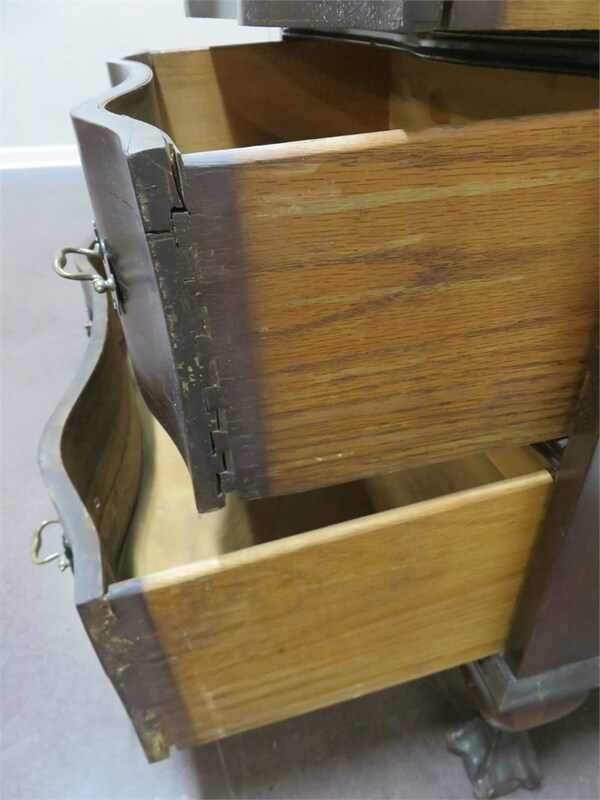 The entire desk shows typical wear consistent with age and use.